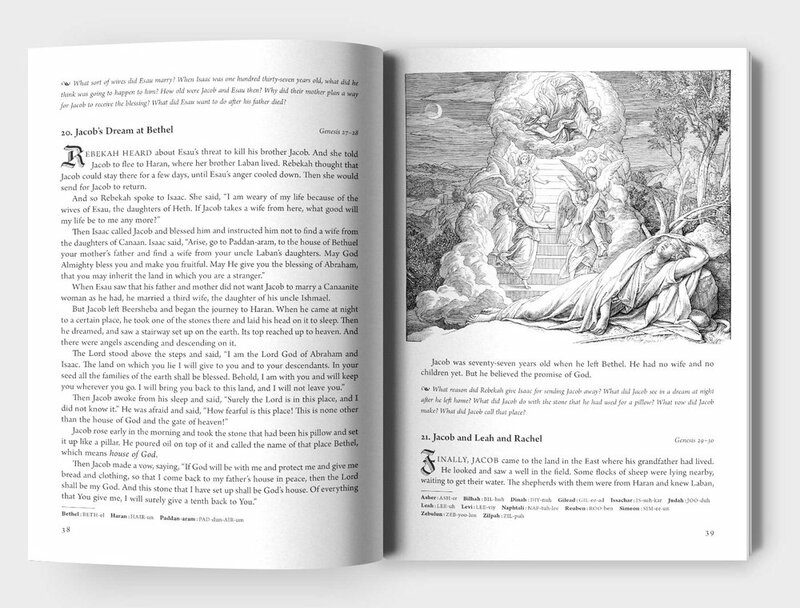 The Ælfred Rex Bible Story Book was written for those who teach and those who learn, in the family, church, and school. This book is a chronological and faithful telling of the narrative of Scripture. Careful attention has been given to details and accuracy throughout. In the 312 stories of the book, the flow of Bible history is emphasized, without adding to or omitting stories unduly. The stories are told with much of the Bible’s own language. Over 270 black and white engravings selected from 19th century folios beautify the text. These illustrations are rich depictions, clearly created by artists who themselves knew the stories. 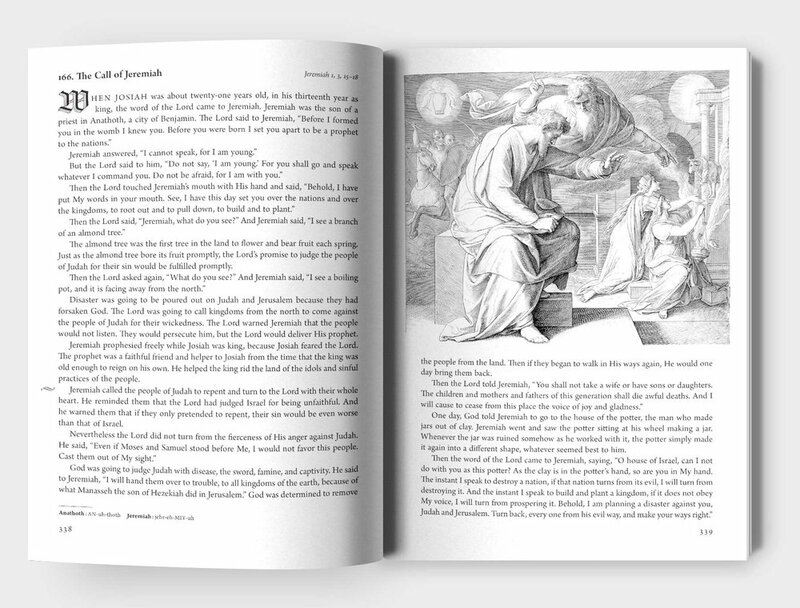 Scripture references, a pronunciation guide, and helpful questions accompany the stories. Additional information of interest is given in a section of endnotes, charts, and maps at the end of the book.